Since its reveal during The Game Awards 2018, the hype for The Outer Worlds has yet to cease. However, there are a few misconceptions about the title that Obsidian wants to ensure fans aren’t running away with. For one, The Outer World will not feature a massive open world. It also won’t take players hundreds of hours to beat. Lead Developers Leonard Boyarsky and Tim Cain made note of this during a recent interview with Game Informer. From what the developers have seen online, it seems people’s expectations may not be properly aligned. Apparently, speculation about the game’s length is heating up, with many believing The Outer Worlds will offer “hundreds of hours of gameplay.” According to Cain, this will not be the case. When asked if 15 to 40 hours of playtime was a fair assumption, both developers agreed. Ultimately, it’s all contingent upon how players choose to spend their time in the game. For instance, Boyarsky revealed that some players get through the first area in under an hour. Meanwhile, others take three times as long. Exploration, and the choice between the stealth, combat, and dialogue paths all inform The Outer World’s length. 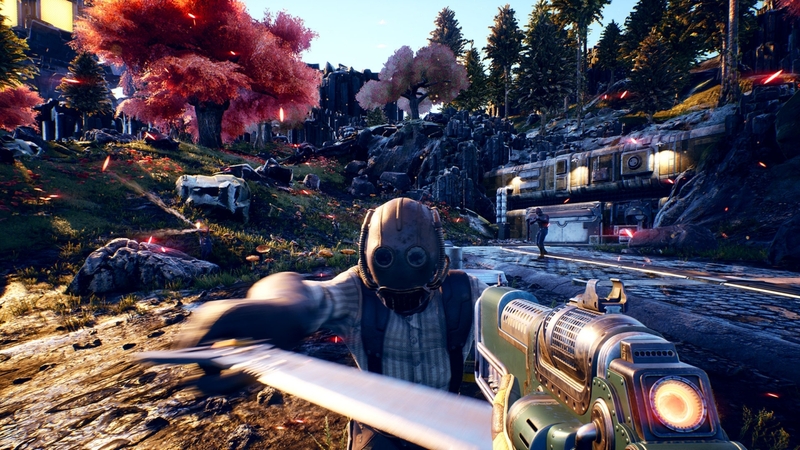 The Outer Worlds will launch on an unspecified date in 2019 for the PlayStation 4, PC, and Xbox One.